Looking to check out the newest night club and restaurant in san diego ? Head to El Chingon halloween down in the gaslamp district of San diego . 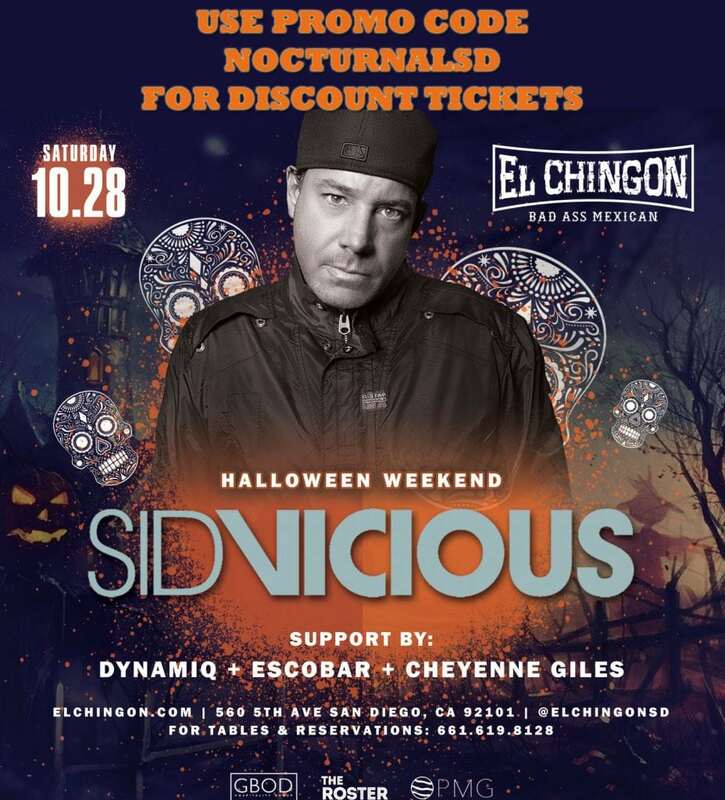 Check out the top halloween event for 2017 in San Diego the El Chingon Halloween 2017 Ticket Discount Promo Code San Diego Sid Vicious costume party. So purchase your tickets now, vip ticket are also available, check into VIP table discount bottle services. This year try the biggest and best halloween costume party in the downtown gaslamp and the greatest thing is it’s all brand new ! Stop by on October 28th and October 31 for the best 21+ halloween experience in town. Check out the best edm, hip hop and electronic music line up this halloween weekend in san diego in the downtown gaslamp district . There will be no guest list it’s ticket or vip table only entry . 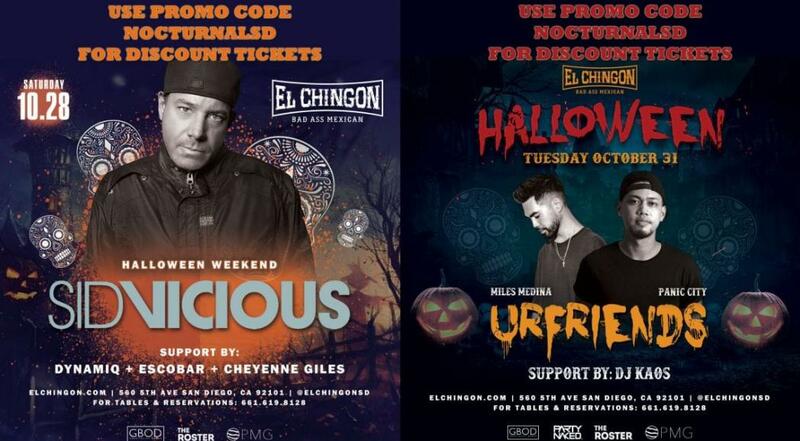 check out the pricing for vip bottle service this halloween weekend at El chingon. 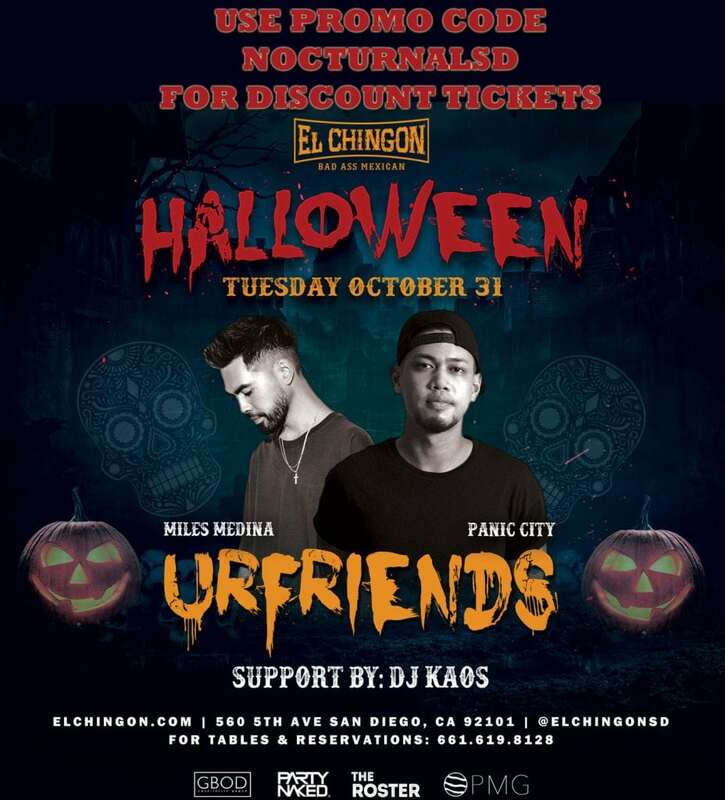 If you are looking for a latin, spanish or mexican experience this halloween head down to the gaslamp in san diego for the el chingon halloween party.